Lidl offers fantastic value for money. With prices a fraction of that of other supermarkets, it's fast becoming a popular choice with Brits looking for a good grocery deal and discount. Find all the best Lidl offers and weekly grocery deals here. 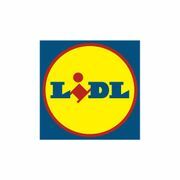 Lidl is an international German discount supermarket chain founded in 1973 by Dieter Schwarz. The first store he opened that year was similar to the concept of Aldi, where Schwarz would rigorously remove any products not selling from the shelves and therefore cutting costs by keeping the retail outlet size as small as possible. Today, the company operates more than 10,000 stores across Europe and has expanded to the United States in 2017. Lidl was launched in the UK in 1994 and since then they now have more than 650 stores and 10 distribution centres across the country offering fresh and quality produce. Lidl provides their customers with the highest quality products at the lowest possible price tags. In order to make this happen, they work closely with their suppliers. They also make it a point to source locally where possible and to date, 70% of Lidl products are acquired from British suppliers. Find the best Lidl offers here at Latest Deals! We have the latest sales, discounts, voucher codes and coupon codes that you can use in store shared exclusively to our members by our community of bargain hunters. How do I contact Lidl? What are the delivery options for Lidl? Lidl currently do not offer any home delivery. Their website will provide you with details of the products which you can purchase in store. Get amazing savings here at Latest Deals with our Lidl.co.uk voucher codes, coupon codes, sales and discounts which you can use upon checkout in Lidl stores nationwide. How do I return an item to Lidl? If you are not satisfied with the quality of a food or grocery item purchased at one of their stores within its Best Before date (where applicable), you can get a full refund if returned within 30 days of purchase or, if returned more than 30 days after purchase, offer you a replacement if available or a full refund. Simply bring it back with your receipt. If you have purchased any fruit or vegetable item that does not meet their high standards, they will replace your product or give you a full refund - even without a receipt. Faulty within 12 months of purchase: If you are not satisfied with the quality of a non-food specials item purchased at one of their stores, you may return the item within one year of purchase with your receipt or proof of purchase to one of their stores, for a replacement or a full refund. Faulty after 12 months of purchase: If more than 12 months after purchase you find a fault with the quality of a non-food specials item purchased at one their our stores, contact their Customer Services department for assistance and an experienced operator will talk you through your options. Non-Faulty: If you simply change your mind about a non-food specials item purchased at one of their stores, you may still return the product to store for a full refund within 30 days of purchase, as long as you return it with your receipt and in its original packaging. To help you get the best from their quality products, they have collected together some of their favourite recipes to give you a Lidl inspiration. From speedy midweek meals to showstopping centrepieces, they've got delicious dishes for every occasion. Whether you’re a keen cook or complete beginner, you’re sure to find some new family favourites – just take a look at their symbol guide at their Recipes page to help you pick which ones to tackle. #LETSWOW is more than a hashtag for Heidi Klum. #LETSWOW is a statement that everyone can relate to, because everyone should go through life feeling happy and self-confident. Heidi finds joy in life every single day, and you should too! Find out all about #LETSWOW and Heidi's brand new fashion collaboration on their Fashion Week page. Take a sneak peak at the filming of their LETSWOW ad, enjoy!